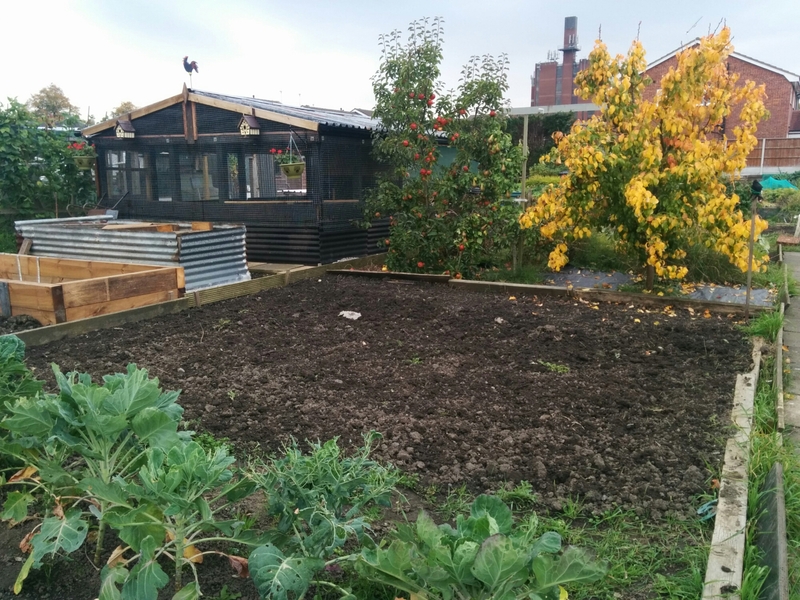 Earlier I went down to the allotment prepared to weed as much as I could of the bottom plot as well as feeding the birds. I arrived to find no eggs again – really need to have a word with these chickens! But on the plus side, Evie and Doris are showing plenty of new feather growth and are starting to look like chickens as opposed to poorly plucked chicken skeletons. Emily had taken herself into the coop in what I can only describe as a huff. 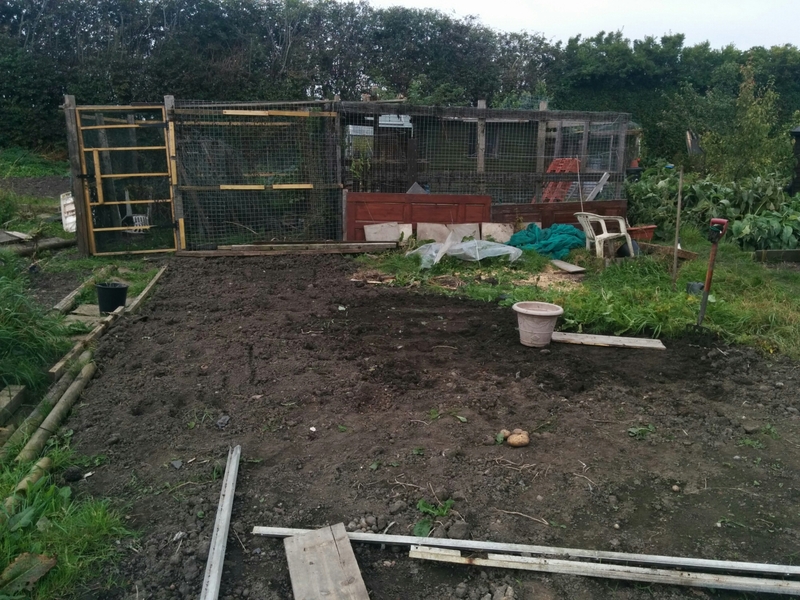 Weeding on the bottom plot and hoeing the middle section of the top plot commenced and lasted about two hours before I conceded defeat. Honestly, tiredness during pregnancy is a really annoying side effect!